TNL Take: As the first year for Overwatch League comes to its conclusion, it's never too early for the rumor mills to start churning for year two. Sources have told the Australian Financial Review that Blizzard is targeting Melbourne for one if its expansion slots. Activision's CEO of Esports Leagues Pete Vlasetelica previously mentioned that the league would expand from 12 to 18 with "two from the Americas, two from Asia-Pacific, and two from Europe and the Middle East". Overwatch League currently has 9 teams in the US, 2 in Asia and 1 in the UK. The Australian esports scene has emerged over the past few years including sports clubs from the AFL like Adelaide Crows and Essendon Bombers both investing in teams. Gfinity recently launched their Elite Series city-based league including Melbourne, Sydney, Brisbane and Perth. 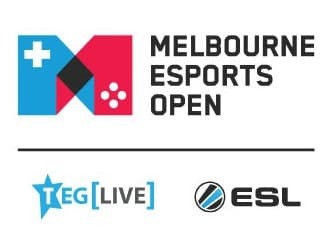 Further, the Victorian state government promises to make Melbourne the home of esports after announcing the country's biggest event, Melbourne Esports Open the first weekend of September. In partnership with TEG Live and ESL, the event is expected to draw 10,000 fans each day. Whoever gets the one of the next 8 slots will need to pony up a pretty penny however. From the inaugural season buy in of $20M, expansion slot fees have now risen to $30-$60M sources tell ESPN. "We're open to having a conversation about any city. If somebody wants to have a conversation with us about Melbourne, we would definitely have the conversation and be very interested. It's a global league, so we want big, globally recognisable cities. Our focus is really on expansion in Europe and throughout Asia Pacific, of which Australia and New Zealand is a part". Here's The Next Level's previous 2-part series on Australia and esports. So I invited showmen P.T. Barnum and Evel Knievel to a brainstorming session. They invited their friends Roone Arledge (Monday Night Football creator) and Bill Veeck (innovative baseball promoter). Colonel Tom Parker (Elvis’ manager) showed up a little late. The goal: Take an NBA 2K League broadcast and turn it into must-watch entertainment for gaming, esports and NBA fans — of all ages and levels of interest — while painstakingly retaining the authenticity of the core games of basketball and NBA 2K. The perspective: To succeed in esports/gaming programming, one must constantly blow the viewers’ doors off. Non-stop flame throwing. Keep in mind, this is an industry that saw its second-most-watched game, PUBG, be replaced by a similar, yet new and now most-watched game, Fortnite, almost overnight. The brainstorm rules: You can’t recommend changing any of the core programming that Visual Concepts and Take Two Interactive continue to perform miracles on to get ready for the inaugural NBA 2K League season. Any ideas must be additive to the core game. (i.e. : no recommending four point shots, etc). Trash Cash: Reward players who do the best trash-talking and have Twitch viewers chime in with their favorites. For casual fan perspective, make sure every NBA 2K League player has an NBA player comparison in terms of describing their game. Hand Cam. Casual fans have no idea how great these guys really are with their stick skills. Show it. Who’s working on real nicknames, not mostly lifeless gamer tags? And casual fans still want to know real names too. Pressure? Let’s hook them up to heart monitors and put those stats on the screen. Live head coach microphone and cam. Can coaches really make a difference in esports, especially during a game? Pause the game and let Twitch viewers call one offensive play for each team. Dedicate one practice game per week as amateurs versus pros with the amateurs being from the home team’s city (and put live on Twitch). Dedicate a Thursday night game to traditional broadcast TV. Make it the “pub game” of the week and encourage micro bets at local watering holes. Constantly talk about prize money. As in, if this guy doesn’t step up his game he’s literally handing $5 thousand to his opponent. Make all the different team uniforms unique and original. Don’t do what Overwatch did and make all the team jerseys the same construction (just with different logos/colors). Speaking of uniforms, make them complete uniforms from head to toe— i.e., give them pants too (maybe shootaround type pants), not just random jeans players wear in other leagues. Don’t schedule matchups until the previous week’s contests are complete. Creating early rivalries are key. Make play-by-play and color casters/announcers a priority. Pay them really well. Nothing will sink the league faster than bad casters. And make sure they know both 2K and basketball — there’s a difference. Listen-ins to player conversations in headsets. Come up with interesting new stats like “number of ankles broken,” “number of posters created,” etc. Make sure to always mention players’ hometowns. Coach draws up a play viewable to the audience watching online. Create a dope soundtrack by pairing a classic stadium organist with a DJ. Hire KingSwish to do more of these play recreations. Nothing shows the realism of 2K better. Make sure there’s at least one player face on the screen at all times. Create villains first. Then heroes. Use halftime to connect with pop culture with music videos and movie trailer premieres. In future seasons, every team roster needs to have at least one international player or one player from the team’s city. Industry Guest Post: Jonathan Pan is an Esports Instructor at the University of California, Irvine. He has over 13 years of experience in management, strategy, or business development roles across companies small and large. After serving as a Product Manager at Riot Games, he co-founded and served as CEO of Ember, an esports team. He has also delivered one of the most viewed TEDx talks on esports. In Part 1 we looked at mobile, a framework for analysis and Nintendo's esports strategy and Part 2 focused on Sony's esports efforts. Today will conclude with Microsoft. Microsoft’s esports strategy appears to be growing the competitive communities of these first-party games: Halo, Gears of War, and Forza. Halo esports has been around for a long time and has kick-started the careers of some famous players today. In fact, the most popular streamer today, Ninja, was a former pro Halo player. However, he had some choice words to say about why he started taking a break from competitive Halo last year. Can't stress enough how strongly I feel this type of partnership is a win/win for teams and developers. All #esports devs should work with supporting teams to sell in-game logos and engage in revenue sharing. On the input device front, the Xbox Elite controller is a hit. The controller is customizable with various features to help competitive gamers play better such as rear triggers, bumpers with adjustable sensitivity, adjustable sticks and better grips for long play sessions. Also, more button placements allows players to do more actions more comfortably, increasing performance. On the platform services front, Xbox Arena allows players to create their own tournaments. It remains to be seen if tournament organizers will adopt to use Xbox Arena to create tournaments are continue to use established third-party tournament platforms such as Battlefy and FACEIT. Battlefy powers Nintendo’s Splatoon 2 tournaments as mentioned earlier. FACEIT became “one of the first Tournament Organizer partners for the Xbox Live Tournaments Platform” in 2016. It’s too soon to tell if Sony or Nintendo’s strategies are working, but they are on good footing. The PS4 is the established market leader with 73.6 million units sold as of December 31, 2017. While Microsoft has not announced sales figures for Xbox One, analysts estimate that figure to be around 30 million. Size matters and Sony is well positioned to leverage their large install base once they have a first-party esports game. Nintendo is well-positioned to leverage Smash’s vibrant competitive community while continuing to build up the Splatoon 2 competitive community. The main complaint about Nintendo is that they haven’t done enough to support their esports efforts —now we have an opportunity to see what they will do in 2018. Microsoft is on shakier ground. They clearly recognize what esports can do for its ecosystem and its games, which is why they have made significant investment in full-fledged esports leagues. However, the main hurdle seems to be spotty execution and not going all in when they need to. This is to be expected as many companies underestimate the amount of money it takes to run in-house tournaments with accompany broadcasts or outsourced ones. In Part 1 we looked at mobile, a framework for analysis and Nintendo's esports strategy. Today we continue with Sony. Sony doesn’t have a first-party game like Super Smash Bros or Splatoon 2 that they can build a competitive ecosystem around just yet. In the meantime, Sony’s esports strategy appears to be positioning itself around the most popular console franchise, Call of Duty, while making improvements in input devices and enabling tournament participation directly from the PlayStation 4 (PS4). The Call of Duty franchise is widely acknowledged as one of the most recognizable esports to mainstream audiences. Starting in 2015, PS4 owners started getting timed exclusivity for Call of Duty DLCs. The Call of Duty World League, which started in 2016, is played on PS4. Sony announced in March that they will reorganize in an effort to focus more on first-party games. If this effort yields first-party games with esports potential, they may shift their esports strategy. First, console competitive gamers have needs that are more unique than the average console gamer. For example, Call of of Dutyplayers put their hand in a shape of claw in order to hit circle (crouch), move the right stick to aim and R2 to shoot all at the same time. However, pro controllers have input buttons on the back, so this allows them to map circle (crouch) to the back, so they can hold the controller normally without straining their hand. Second, there is pressure from Microsoft and unlicensed third-party manufacturers such as Cinch and SCUF, who are modding PlayStation controllers. This helped push PlayStation to license pro controllers to stay competitive and to show an understanding of the competitive community’s needs. On the platform services front, PS4 players can play in ESL tournaments directly from their PS4. Tomorrow will continue with Microsoft's esports efforts.